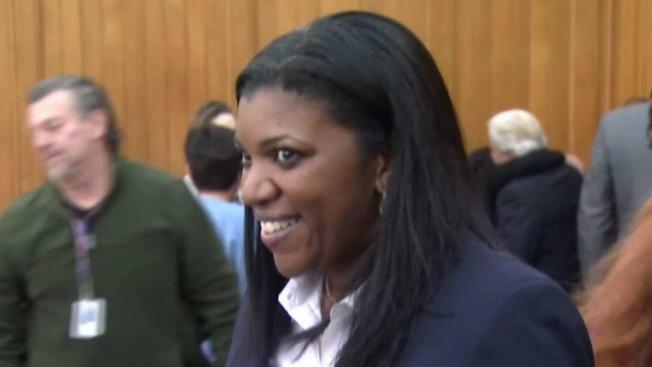 Vanessa Dorantes has worked for DCF for 27 years, most recently as the person in charge of the region that includes Danbury, Torrington, and Waterbury in Western Connecticut. Gov.-elect Ned Lamont named his choice Monday to head the Department of Children and Families. The next leader of the Department of Children and Families will be a veteran of the agency, marking a shift in the direction of the department which has faced the ire of lawmakers and the Office of the Child Advocate in recent years. Dorantes, who lives in Bristol, says her primary goal will be to ensure agencies work better together when addressing a DCF case. “Connect with our other stakeholders of other either sister agencies, the education system, healthcare system, law enforcement and the courts to kind of all be moving in the same direction so I think collaboration will pay stronger dividends and outcomes for kids and families if we can bridge some of those relationships,” she said. Dorantes will follow Joette Katz, who will leave the agency after serving as commissioner since 2011, the same year Gov. Dannel Malloy took office. Her tenure saw highs and lows, drastically reducing the number of children that were in institutional care. She was also criticized by the Office of the Child Advocate and some members of the General Assembly for her handling of some individual cases, which in some instances were related to the deaths of children. Dorantes acknowledges the thankless nature of the position, and how she will inevitably deal with serious consequences. “It’s not if there’s going to be a tragedy, it’s when,” she said. If and when that happens, Governor-Elect Ned Lamont says he has her back. Dorantes says her experience on the ground level of the agency, and working directly with families is what will help her lead the department. She says she was not angling for the job of commissioner when she was approached about taking the job. Executive nominations must go before the Connecticut Senate, a process that will begin in earnest this week as the 2019 General Assembly gets underway. One early ally for Dorantes could turn out to be Republican Leader Len Fasano, who will become Minority Leader on January 9. Fasano was the loudest and sharpest critic of Katz when she led DCF. He said he does not know Dorantes personally, but says he likes what he’s heard about her so far. “I think this commissioner that’s been appointed was someone who’s been on the front lines who’s dealt with the clientele day in and day out, understands the real life implications of DCF and understands where the shortcoming are so I think that’s a very good first step toward getting control over DCF,” Fasano said.